CBS News hasn't invited Dan Rather back to participate in its 50th-anniversary coverage of the Kennedy assassination, but images of the longtime anchor who parted bitterly with the network will be a part of its upcoming documentary on how the story unfolded that day. Rather helped organize CBS' plans for President John F. Kennedy's visit to Dallas on Nov. 22, 1963, and as a young reporter was a key component of assassination coverage. Now 82, with his own show on AXS-TV, he's one of the few reporters on the story that day still active in journalism. Rather, who later became CBS News' top anchor for 24 years, will appear on NBC's "Today" show on Nov. 22 this year. "I held off doing anything for anybody else for a while, thinking I may be asked to do something (for CBS)," Rather said. "I can't say I had any reason for that hope." CBS Washington bureau chief Bob Schieffer, who as a newspaper reporter in 1963 gave the mother of Lee Harvey Oswald a ride to Dallas after the assassination, will anchor a Nov. 16 special on that day's coverage. CBS' announcement of the special recently said viewers will relive the day with anchor Walter Cronkite and reporters Charles Collingwood, Harry Reasoner, Charles Kuralt and Mike Wallace. All of those men are now dead; Rather went unmentioned. Rather expressed concern about an effort to "airbrush this guy out because we don't like him," but the show's senior executive producer said this would not be the case. Film of Rather on that day will be part of the Schieffer special, and so will recollections that Rather recorded for the network through the years, said Susan Zirinsky. "Dan Rather was a big part of the CBS coverage when the assassination occurred ... he's absolutely in the broadcast," Zirinsky said. Rather worked at CBS News for 44 years. His downfall came as a result of a 2004 story about President George W. Bush's military service. Under criticism, the network concluded the story couldn't be substantiated, but Rather has stood behind it. His tenure as anchor ended six months later and he left CBS in 2006, eventually filing a $70 million lawsuit against his old employers that was thrown out in 2010 by New York's highest court. As a young New Orleans bureau chief for CBS in November 1963, Rather had a mundane assignment in Dallas. He had arranged locations along the presidential motorcade route for film of the visit to be picked up and transmitted to CBS' New York headquarters. He had no on-air assignment. He sprang into action when it became clear something had gone terribly wrong. 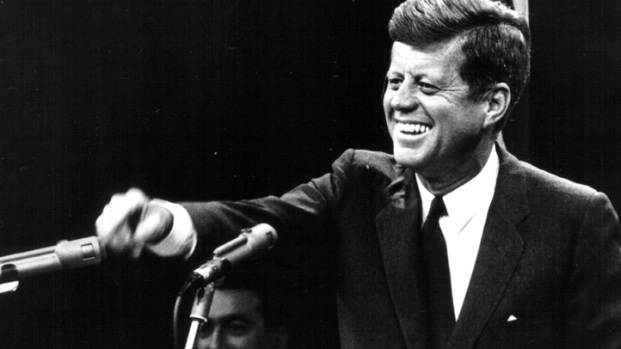 Rather described in his 1977 book, "The Camera Never Blinks," that CBS radio went with his report that Kennedy was dead — based not on official confirmation but his phone conversations with men who identified themselves as a doctor and priest at the hospital where Kennedy was taken, and a colleague's conversation with the hospital's chief of staff. It was an extraordinary risk: if Rather was wrong, he conceded his career in journalism likely would have ended there. Days later, Rather was among the first people to see film of the assassination taken by Abraham Zapruder and he later described it live on CBS, reading from a spiral notebook what it captured of the president and first lady at the moment of impact. CBS failed, however, to acquire rights to the film. "I'm proud of what CBS News did at the time," Rather said. "When the country needed it, CBS News was the best in the business." Rather gave an extensive interview about what happened that day to his old competitor, NBC's Tom Brokaw, for use on Brokaw's NBC special to air Nov. 22.